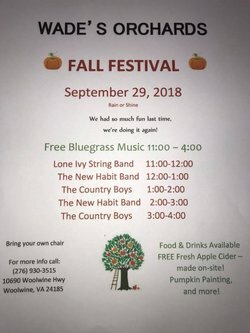 Wade's Orchards Fall Festival, September 29, 2018. Rain or Shine. Free Bluegrass Music 11:00 AM to 4:00 PM. Bring your own chair. Food and drinks available for purchase. Free fresh apple cider made on site. Pumpkin painting and more. 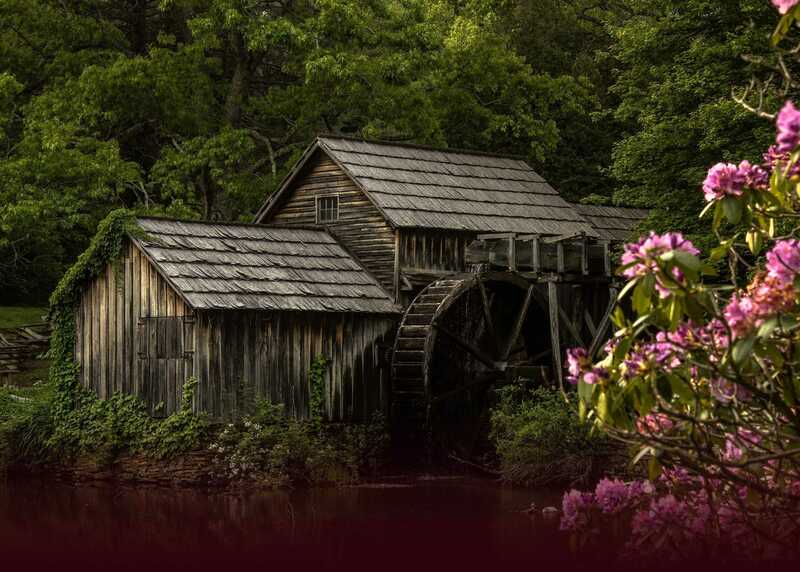 For more information, call 276-930-3515.